Since switching to nut milks I have been continually frustrated with the added ingredients to what I am drinking. The only store bought brand I could find that had no additives was New Barn. I make so many foods from scratch that I was afraid to add yet another thing to my list of “food prep” for the week. It wasn’t until I tried this recipe that I realized how easy it was. I now make it on a regular basis and even have been creative with different flavors. Cinnamon and Vanilla are my favorite additions so I am sharing my favorite recipe with you! This recipe is originally from one of my favorite cookbooks, “At Home In The Whole food Kitchen” by Amy Chaplin. I am obsessed with all her recipes right now so you will see a lot more coming your way on my blog. To begin, you will need to acquire a nut milk bag. I chose one that was made out of unbleached hemp. There are many different varieties so check out your health food store or Amazon. 1. Place nuts in a bowl and cover with about 2 cups of filtered water and let sit for at least 6 hours. 3. Add 4 cups of water to almonds with a pinch of sea salt and process until smooth. 4. 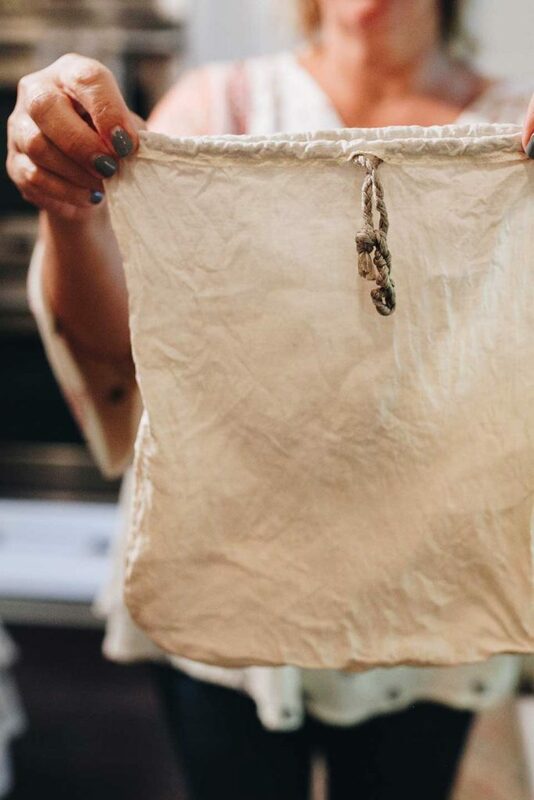 Hold nut milk bag over a large bowl and pour processed milk into the nut milk bag. 5. 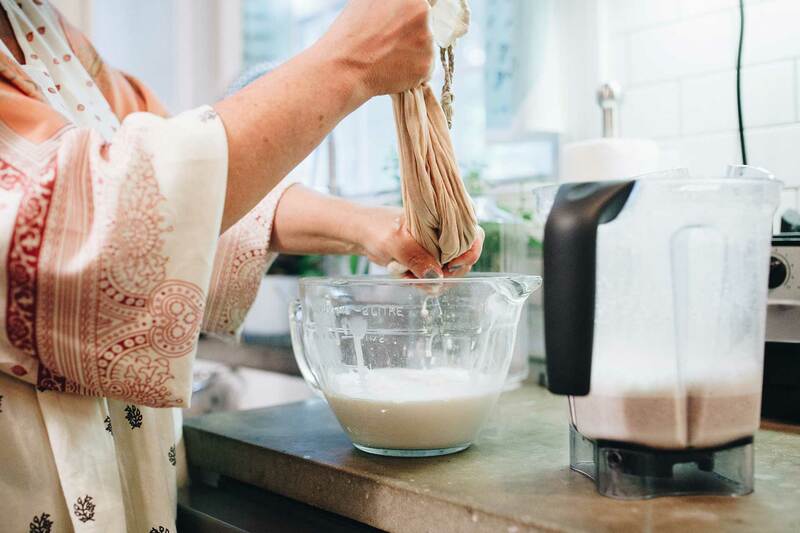 Gather up the edges of the nut milk bag and twist lightly around the top to start squeezing the strained milk into the bowl. 7. At this stage you have almond milk, (it is absolutely delicious at this stage), but this is where I want to add my cinnamon and vanilla. 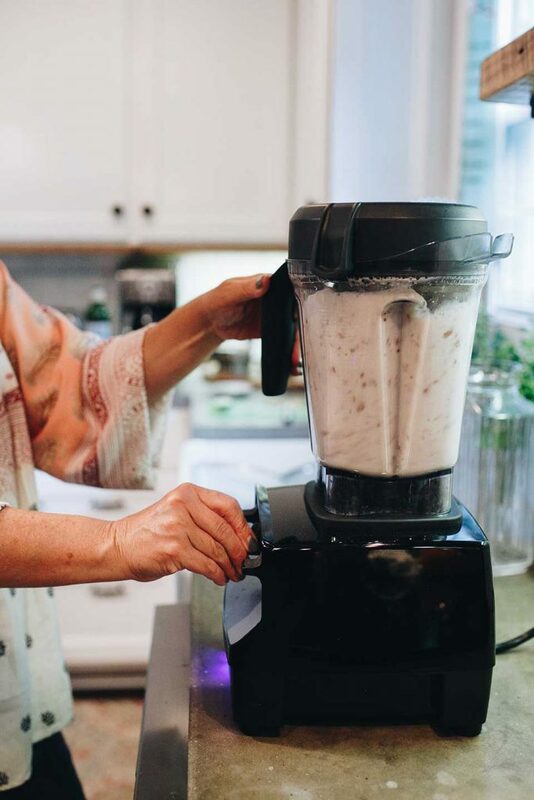 Put all the nut milk back in the blender and add the additional ingredients and process for just a few seconds to incorporate the flavors. 8. 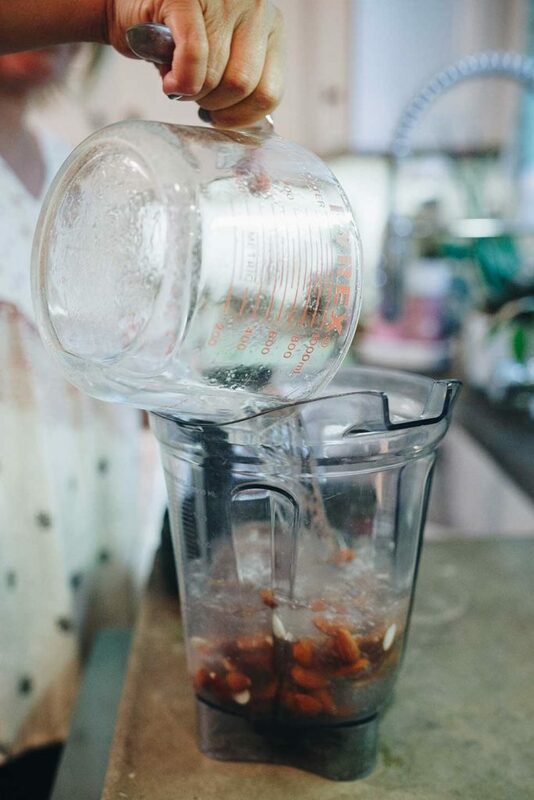 Pour into glass jar with lid and refrigerate. Shake before using. 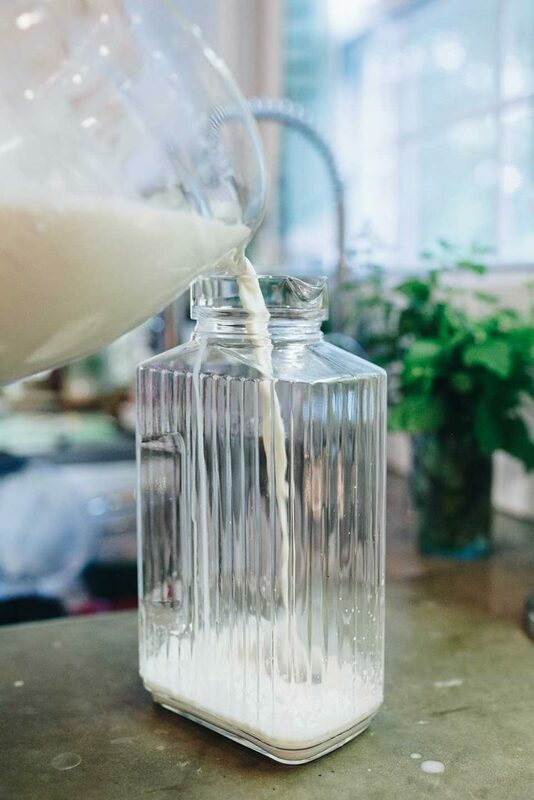 Almond milk will last up to a week in the refrigerator. Give this a try! It really is simple and I cannot get over how creamy it is. Much better than the store bought version and you know every ingredient that went into it. To begin, you will need to acquire a nut milk bag. I chose one that was made out of unbleached hemp. There are many different varieties so check out your health food store or Amazon. Place nuts in a bowl and cover with about 2 cups of filtered water and let sit for at least 6 hours. Add 4 cups of water to almonds with a pinch of sea salt and process until smooth. Hold nut milk bag over a large bowl and pour processed milk into the nut milk bag. 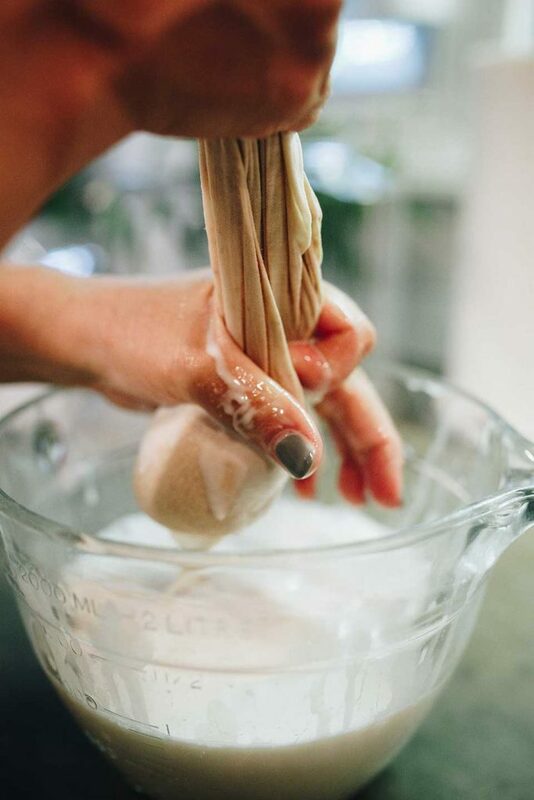 Gather up the edges of the nut milk bag and twist lightly around the top to start squeezing the strained milk into the bowl. At this stage you have almond milk, (it is absolutely delicious at this stage), but this is where I want to add my cinnamon and vanilla. 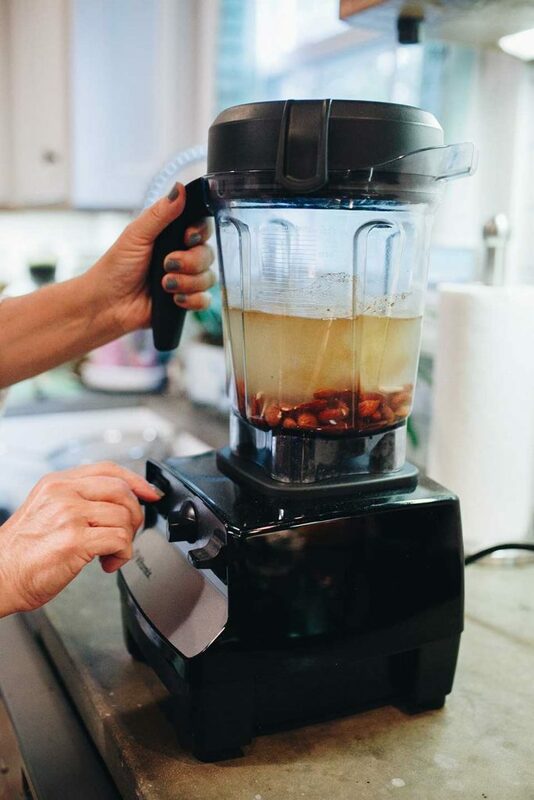 Put all the nut milk back in the blender and add the additional ingredients and process for just a few seconds to incorporate the flavors. Pour into glass jar with lid and refrigerate. Shake before using. 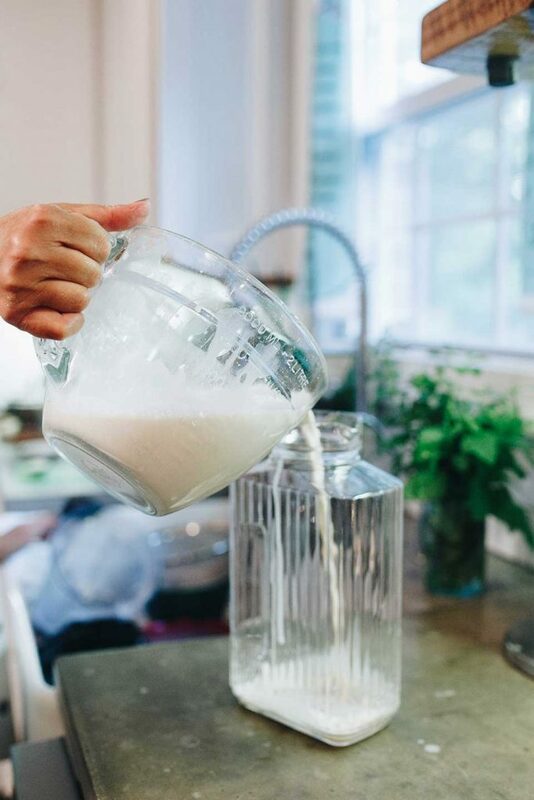 Almond milk will last up to a week in the refrigerator.